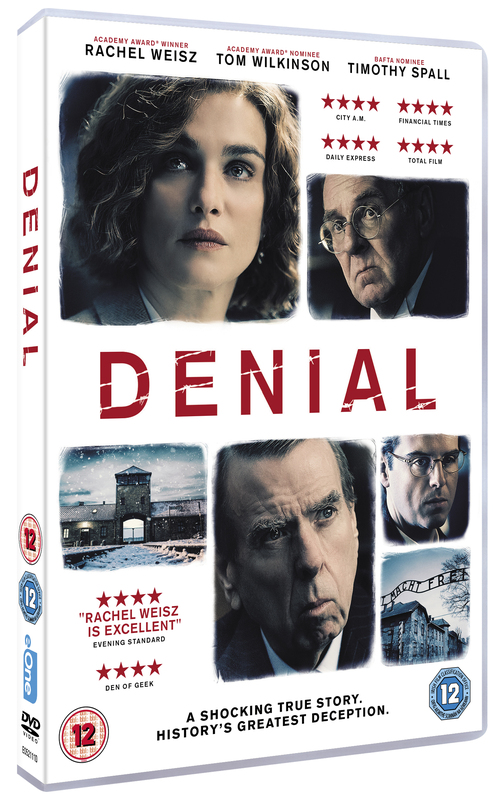 To celebrate the upcoming release of Denial on DVD, we’ve got 3 pairs of tickets to give away to a special screening of the film and Q&A at the Imperial War Museum in London on 6th June. Starring Academy Award® winner Rachel Weisz, alongside Timothy Spall, Andrew Scott and Tom Wilkinson, DENIAL is the gripping and inspirational true story of a relentless fight for justice. When writer Deborah Lipstadt (Rachel Weisz) speaks out against the lies of Holocaust denier David Irving (Timothy Spall) she is faced with a high-stakes battle to uncover one of the darkest deceptions in history. Passionate, fiery and independent she decides she must face him in court to fight the battle for the truth, even though the odds are solidly stacked against her. 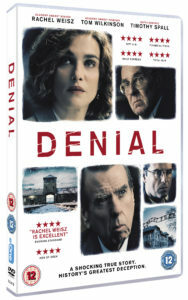 DENIAL is directed by Emmy Award® winner Mick Jackson (“Temple Grandin“) and adapted for the screen by BAFTA and Academy Award® nominated writer David Hare (The Reader). DENIAL will be available on DVD from 5th June 2017 and on Download from 22nd May 2017. Pre-order now from Amazon. The competition ends at 23:59 on 1 June 2017. The prize consists of a pair of tickets to a special screening of Denial at the Imperial War Museum, London on 6th June 2017. Competition: Win The Best of Me on Blu-ray! Win a San Andreas DVD™ and goodie bag!